Oh, the 2012 holiday merry-go-round is already churning. We’ve barely finished with the shamrocks & green beer and Easter & Mother’s Day are hot on its heels. Could I ask you to indulge me for a minute? Could I tarry just a little longer at St. Patrick’s Day? Not because I’m so very Irish (I am), but because Ireland offers one of the most memorable and recent cautionary tales about why we should be petrified about the extent of our current American practice of growing just a few varieties of a few crops year after year (monoculture). It’s hard to imagine famine when you take for granted the endless array of processed foods in the typical American grocery store. But, do a little Googling and you’ll soon learn that the huge cornucopia of shiny boxes and bags are manufactured from less than 12 crop varieties. It is so, so dangerous to have your entire food supply invested in one single variety of one single crop, yet it’s unbelievably commonplace and even celebrated as the kind of modern progress needed to feed the world. We’ve already discussed feeding the world, remember? I can’t decide if our choice to play agricultural roulette is due to an over-abundance of confidence or ignorance, but it’s frightening. The really crazy thing is how many of us are Americans today because our ancestors were forced to flee starvation and workhouses in Ireland. The Great Irish Hunger wasn’t all that long ago – how quickly we forget. For a while, the potato was a true savior for Ireland. It found its convoluted way from the Andes in South America to the struggling Irish peasants. 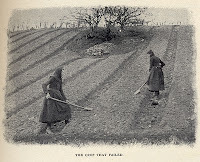 The Irish climate suited the tuber perfectly and these poor families were finally able to grow enough food to feed their families well on their tiny plots of land. In the Andes, as many as 200 species of potato may be planted in the same field. The Irish you see, had a history of diversified farming but were no longer able to grow the variety of crops they relied on before the British occupied Ireland. The British made it illegal for Irish Catholics to own or lease land and Irish farmland had been repurposed to raise grain and cattle to satisfy England’s insatiable taste for beef. Irish farmers were forced onto tiny plots of meager land and struggled with subsistence wages. The potato was the only crop that could be counted on to keep a family fed under such restrictive conditions. 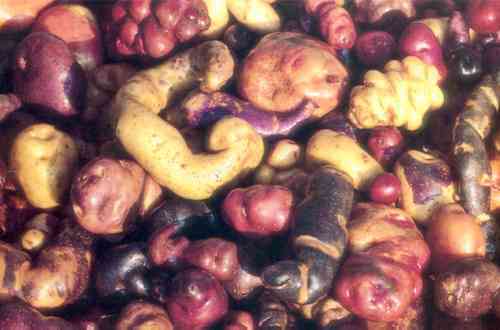 Irish potatoes were especially vulnerable because they planted just one kind, Lumpers. And, because potatoes grow from other potatoes, they are like genetic clones – each exactly the same as all the others. 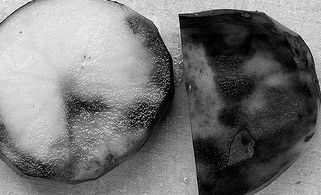 So, when an airborne mold blew into Ireland, the single crop expected to feed about 3 million people was devastated almost overnight, with few backup alternatives. Of course, the suffering and starvation part of the tragedy was caused by a perfect storm of greed, prejudice and politics which amplified the already bad enough crop failure. I hope I’m wrong about this, but it feels like we may never get the greed + power = politics part right, but the lack of biodiversity? That we are able to avoid. Yet, amazingly enough, we don’t. Industrial Farms plant huge monocultures of the three main government subsidized crops, year after year. They deplete the soil of beneficial microbes thereby becoming more and more reliant on synthetic (petroleum-based) fertilizers and pesticides. According to the Food and Agriculture Organization of the United Nations (FAO), humans now rely upon just 14 species of mammals and birds to supply 90% of all animal-derived foods. Twelve plant crops account for more than three-quarters of the food consumed in the world, and just three—rice, wheat, and maize—are relied on for more than half of the world’s food. Reliance upon modern varieties of rice has caused more than 1,500 local rice varieties in Indonesia to become extinct. For some reason, when Americans embrace new technology, we have a way of kicking the old to the curb so fast it’s lost forever. Few farmers preserve their old hybrid seeds just in case their new GM crop fails. I don’t know about you, but I like the security of knowing I’ve left a popcorn trail to guide me home if the new and improved turns out to not be so great after all. Dominant food source invested in extremely few crops of one variety, check. A national food system serving the desires of the few not the needs of the many, check check. Limited access to land discourages initiative and opportunity for people to feed themselves and rise above the limitations imposed by the system: check check check. Well, it seems to me that what we’ve learned is how to do it again. The saddest thing is that we can’t even blame foreign occupation for our situation. At least not unless you believe America is occupied by Monsanto, Cargill, General Mills, Dean Foods & Friends. But blaming things on corporations implies you have no choice in the matter. Which is not entirely true. So today, on this unusually summer-like first day of spring you can take a small step or two to do your part to restore biodiversity to our food system. Or, if gardening is not your thing, consider signing up for a Community Shared Agriculture (CSA) share from a local farm growing heirloom fruits & veggies. Even better if they offer eggs and meat from heritage breed livestock. And if they have fresh, locally produced dairy products too, well lucky you. Go for it, please. 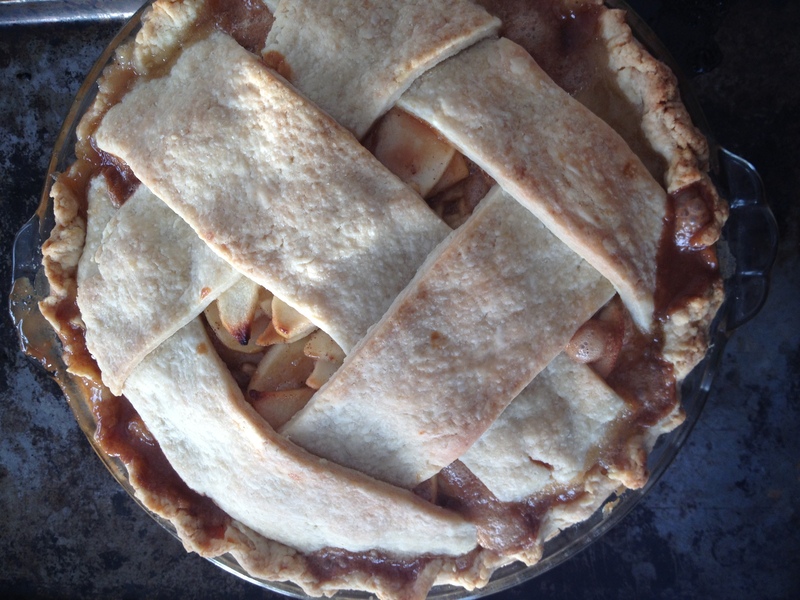 Don’t know where to find a CSA? Look here. And, if even a weekly box of goodness is too much obligation, at least do some shopping at your local farmer’s market. Home gardeners and small, diversified farmers are doing most of the work saving plants whose claims to fame are flavor and hardiness instead of uniformity and ability to withstand processing and shipping. But the success of their work is completely dependent on your commitment to buy from them. Come ON, you can do it! The future is riding on what you have for dinner…. I get disheartened because this is not rocket science and we never seem to learn from the past, and, in fact, create new ways of effing things up.